this article first appeared on zelda & scout on 11/12/14. it was co-written with kelsey goldman. The holidays are almost upon us, and we’ve been getting nostalgic. Something about the colder weather and dimming days has us hankering for the vintage, something finely aged with a little more soul. So for this month’s playlist, we have “Oldies and Goodies.” Some of these are songs we grew up with, some of them are songs we discovered in/post-college, and all of them are songs we love. With so many decades to work with, and so many greats to choose from, we needed some way to structure this list (and, more importantly, pare it down — the original brainstorm was pushing 80 songs), so every track on this list was released prior to 1965. Some are fast, some are slow, all are perfect for singing and dancing along. And each one is shared with love from us to you. Happy listening! Everyday: Buddy Holly (1957) – The ultimate pick-me-up song. There are very few bad days that can’t be cured by this adorkable Texan telling you happiness is “a-gettin’ closer.” We also like the Fiona Apple and Jon Brion cover brought to us by the delightful tribute album, “Rave On Buddy Holly,” but nothing beats the original. If I Didn’t Care: The Ink Spots (1939) – The first sweeping hums of this ballad get us every time. Bill Kenny is the undisputed master of the falsetto — his range was said to span four octaves — and the subtle crackling and dulcet tones of this recording send us straight back to yesteryear, when curls were pinned, sugar was rationed, and the Lindy hop had yet to be supplanted by the twerk. Seriously, y’all, despite our blogging, sometimes we think we were born in the wrong decade. Where Did Our Love Go: The Supremes (1964) – The ultimate girl group, the ones who made the Bangles and the Spice Girls and the Dixie Chicks all possible. This song is as catchy as the Supremes are badass, which is a helluva lot. Air trumpet strongly recommended during the bridge. Try a Little Tenderness: Otis Redding (1966) – Ok, so technically we broke our own rule with this one, but we love this song so much we couldn’t resist! Otis Redding just speaks to our anguished souls! Also, this song was technically written in 1932, so that totally makes it legit, right? Right. Scout is also a big fan of this version, courtesy of Killian Donnelly and the West End production of The Commitments, because Irish guys singing soul, am I right? Moon River: Audrey Hepburn (1962) – There’s something incredibly sweet about Audrey singing here, hesitant and unsure, her gentle voice tentatively tackling each syllable and breathing out a whoosh of relief after each successfully completed phrase. Hepburn’s New York is far more romantic than ours, but with this song in our ears we can pretend that braving the tourist hordes outside Tiffany’s to eat a bagel would still be an enjoyable activity. 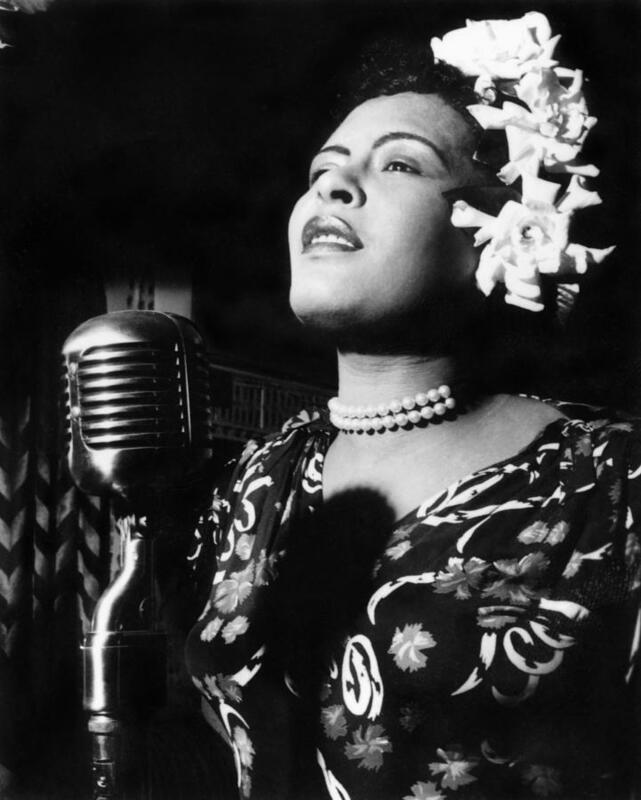 Someone To Watch Over Me: Ella Fitzgerald (1950) – Zelda wishes it were acceptable to do jazz standards at karaoke just so she could sing this one (Note: At Nerdeoke, it is totally acceptable. You might even say encouraged.). Until that day, her shower will just have to put up with being serenaded. Full of flashbacks to sophomore year acting class (for Zelda) and heat-less New York winters (for Scout), this is one of our favorites from our favorite, Miss Ella Fitzgerald: a woman too fabulous to be confined to one playlist entry. It’s In His Kiss: Betty Everett (1964) – Sweet and peppy without being cheesy, this song gives musical meaning to the old adage about kissing a lot of frogs. How could you not be delighted by a tune that is alternatively known by the title “The Shoop Shoop Song”? They just don’t make ‘em like this any more (and with that sentence, we are officially 80 years old — guess it’s time to break out the muumuus). A Sunday Kind of Love: Etta James (1961) – We love this ballad from the songstress better known for de facto wedding song “At Last.” We feel like classy old broads just listening to this: It makes us want to break out our finest ballgowns and chandelier earrings and hit the town…and by the town we mean the strategic chocolate reserve we keep stashed in our freezer for emergencies. 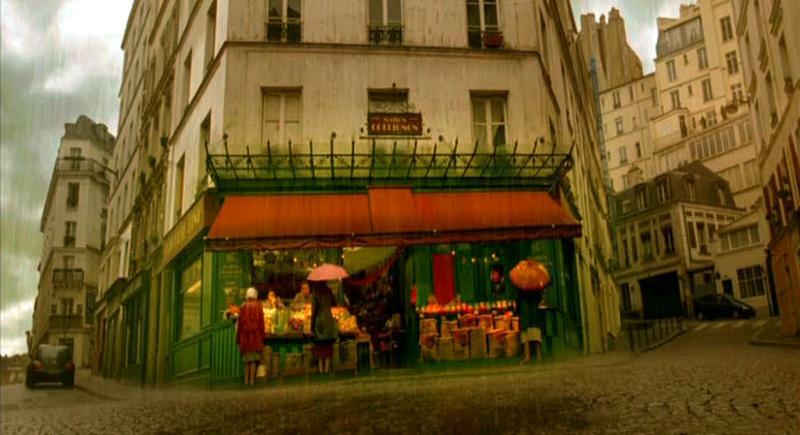 Guilty: Al Bowlly (1931) – Though this song came into our lives in 2001, courtesy of the incredible soundtrack to Amélie, it’s a true classic. 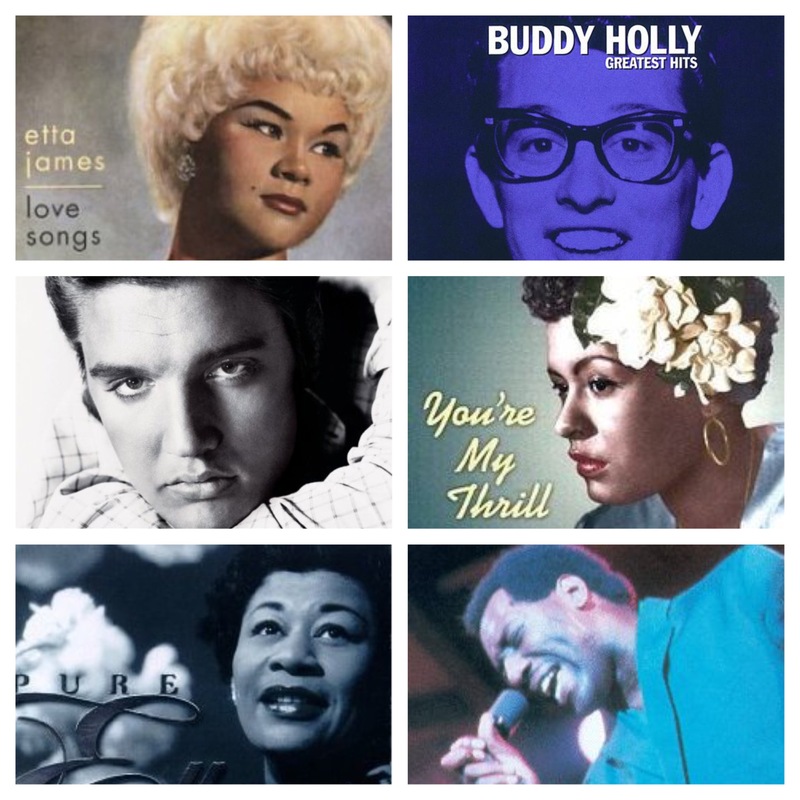 Many of our favorites recorded it back in the day — Billie, Bing, Ella, etc. — but it’s this Al Bowlly we like best. Perfect for dancing around your kitchen with your sweetheart, or for pretending the streets of Brooklyn are a charming corner of Montmartre. My Guy: Mary Wells (1964) – This song has a tendency to give Zelda high school choir flashbacks, but despite her P.C.C.S.D. (Post Chamber Choir Stress Disorder, obviously), she still loves this sweet Motown tune. Scout, on the other hand, can’t hear this song with thinking of Whoopi Goldberg. Religion never sounded so groovy. Will You Still Love Me Tomorrow: The Shirelles (1960) – Ever since “Beautiful” hit the stage and subway stops of New York, we have been marveling at the songwriting genius of Carole King (previously known to us as that lady from “Gilmore Girls” and that singer who Zelda’s dad loves) and Gerry Goffin. We can’t help thinking of Jessie Mueller’s heart breaking reprise every time we hear this, but the original is pretty damn fantastic too. They Can’t Take That Away From Me: Ella Fitzgerald and Louis Armstrong (1956) – Ella and Louis might be our favorite musical besties of all time. Zelda in particular is a bit Ella-obsessed — we love her so much, she made it onto this playlist twice — and you can hear the camaraderie oozing into every word of this swingy little number. Performers aside, this song is just lyrically fantastic, spotlighting all the minutiae that make your “someone” so special. Up On The Roof: The Drifters (1962) – Another Goffin and King classic. Scout recently started taking advantage of her own roof access (by hazardly rickety ladder, but access nonetheless), and let us tell you, we can 100% relate to this song. Brooklyn never looks so pretty as when you’re three stories up, far from the riff raff and the street smells. Plus, Scout lives right by the M train, so sometimes we can even get the subway driver to honk at us, which is basically the grown-up equivalent of banging on the school bus window to get the semi driver to blow his horn, and makes us feel equally badass. Orange Colored Sky: Nat King Cole (1950) – One of Scout’s all-time favorites. Good old Nat always puts Zelda in a Christmas (or “Parent Trap” watching) mood, but this crooner was plenty prolific outside the holiday season as well. Short, sweet, and given to pantomime (you just try and sing “Flash! Bang!” without spirit fingers, we dare you). (What A) Wonderful World: Sam Cooke (1960) – We don’t know much about trigonometry, but we do know we love this song (Too corny? Too corny.) Like many of the artists on this list, Sam Cooke was a Southerner, born in Clarksdale, MS. Fun fact: The family relocated to Chicago when Cooke was 2, where he later attended the same high school as fellow November playlistee, Nat King Cole. Are You Lonesome Tonight: Elvis Presley (1960): What kind of Southern gals would be be if we didn’t include the King of Rock himself, Memphis’ favorite native son, Mr. Presley himself? Elvis’s voice sounds like good bourbon tastes — smooth, seductive, and comforting. When you are feeling lonesome, there’s nothing like a spangled, pompadoured crooner to pull you out of your funk. Non, Je Ne Regrette Rien: Edith Piaf (1960) – It’s the end of the night, creeping on morning. The last of the [insert beverage of your choice] is gone and everyone is feeling a little sleepy, a little sloppy, prone to slump heads against shoulders and warmly embrace 5-hour acquaintances like the oldest of friends. But though this particular night’s festivities may be over, the wild parade of life carries on. So stand up on the bar, throw your arms around your comrades, and belt out this song with Edith. No regrets.